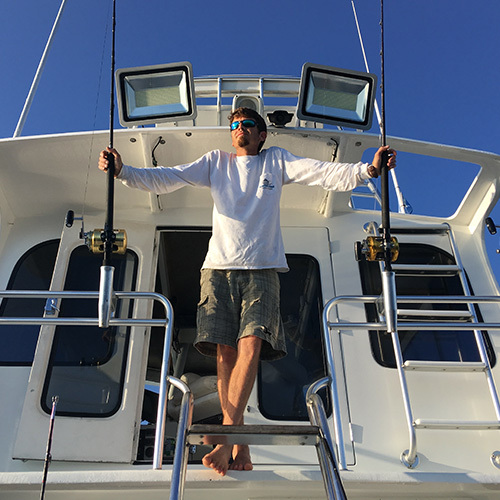 The owner of Destin Inshore Charters and Destin Offshore Charters is Captain Chris Kirby. He was born and raised here on the Emerald Coast and has been fishing for 25 years. He has done everything from inshore bay fishing to offshore blue marlin tournaments, along with commercial snapper and tuna fishing. He eats, sleeps, and breaths fishing! He runs our 40ft offshore boat called the Backlash. Captain Matt aka Stingray Matt has been fishing along the Emerald Coast his whole life. He has been apart of our fishing team for five years now. Don’t let the beard fool you; he is a calm family guy with a passion for putting you on the fish. The boat he runs is called the Adios and if you get the chance to have him be your captain, be sure to ask him why we call him String Ray Matt! Don’t let her size fool you! 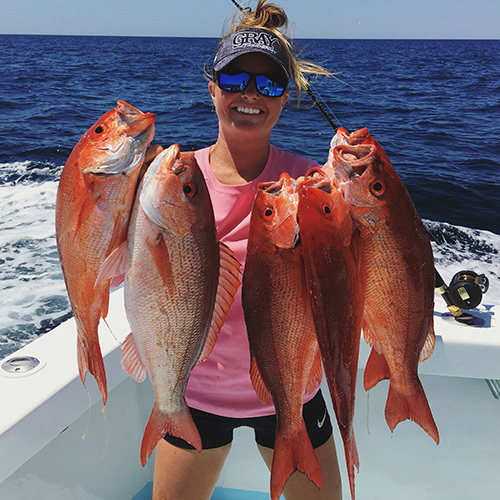 Coming in at five feet tall, Captain Chris’ wife, Shelby, is a firecracker and is the marketing manager for Destin Inshore Charters and Destin Offshore Charters. 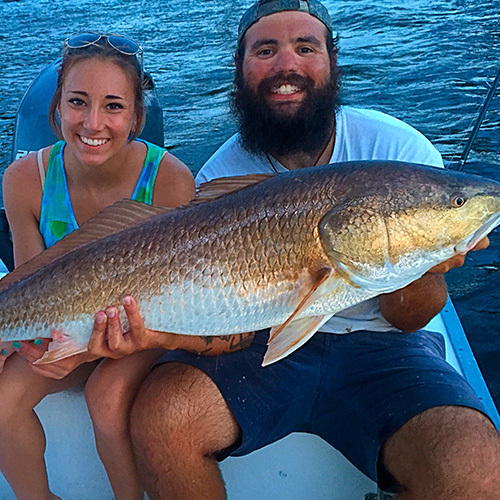 She grew up on the Emerald Coast and made fishing her career over 7 years ago. Shelby is there 24/7 to answer any questions your may have and she will handle your fishing trip reservation from start to finish.